Your mission is to make the 3 command buttons do as they say they should. Attach code to each of the 3 buttons so that it does what it says! 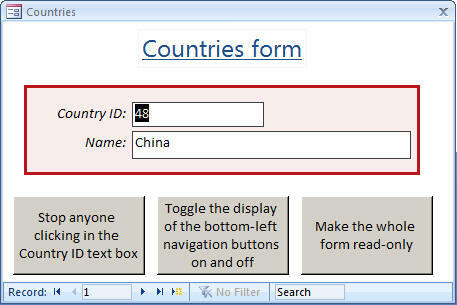 When you have got your buttons working, save and close the form.